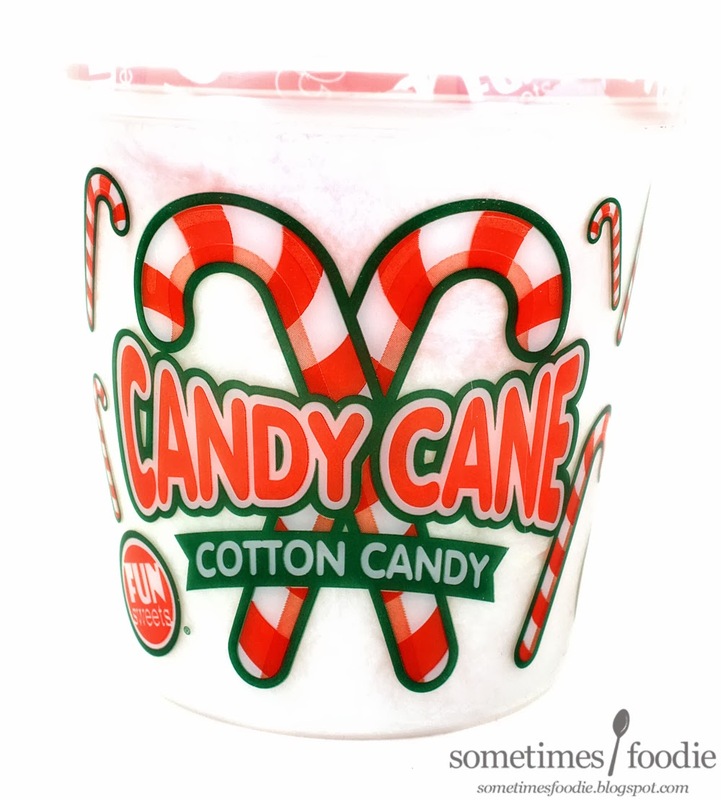 Fun Sweets, a novelty cotton candy company I have reviewed several times before, has released two holiday flavors: Vanilla Snow, and Candy Cane. After being so disappointed in last year's Candy Cane Pop rocks, I was looking for a new minty candy that wouldn't leave me disappointed. I won't be reviewing the vanilla version, since it was a gift, but for those interested...it was pure white and it smelled just like the vanilla sugar I bought at Ikea. My vanilla addicted mother really seemed to like it. 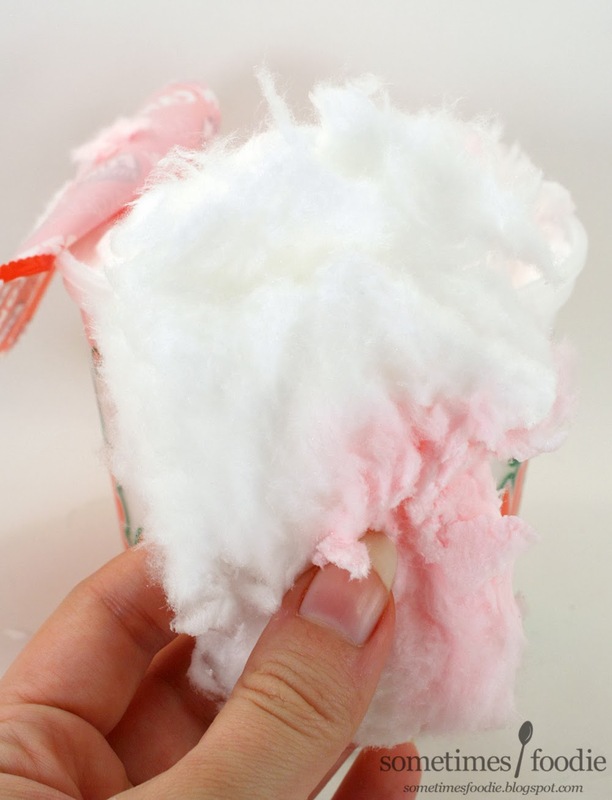 Inside the container are two colors of cotton candy, a pure white, and a pink. This color combination is obviously meant to mimic the red and white stripes of candy canes, but it made me a little nervous. I really hope this isn't another fruity candy pretending to be a candy cane. I took a whiff, and I couldn't detect any minty aroma, just the typical scent of spun sugar. I grabbed a little tuft and popped it into my mouth. It melted away really quickly and, I am very happy to report, this tastes like a sweet and mild peppermint. I'm really happy I tossed this into my cart, and Pop Rocks should really take note. This is a great seasonal product.